Someone who is not familiar with Karachi would not be able to navigate their way around the city. As a Karachiite, even I find it difficult to go around this chaotic city sometimes. Any maps or visual representations that exist of the city’s map cannot be updated. And with the ever-changing landscape, it is crucial to have a map that evolves as the city evolves. I have always been fascinated by history, and what is history without a map? This semester, when the course ‘Cartography’ was offered at Habib University, I instantly enrolled in it. Our conventional understanding of a map is what we see in an atlas. But maps can be of different forms, depending on their purpose. 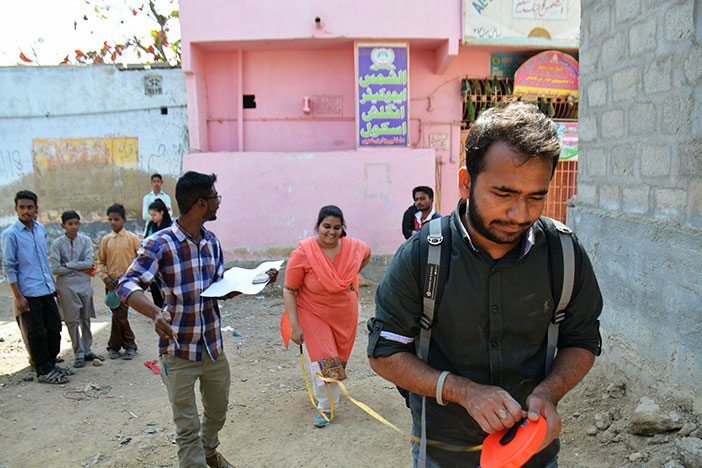 Creating a map is not an easy feat; I came to know of the immense amount of work that goes into making one, while working with the Orangi Pilot Project (OPP). They took us into the field, and made us map four streets in Ghaziabad Mujahid Colony the ‘conventional’ way. There were no apps or computers that could do the work for us on the field. We stood in the streets with a measuring tape and mapped the area using paper and pencil. The experience was incredibly fun and it gave us an insight into the hard work that organizations like OPP do everyday. For privileged people like us, who have access to computers, the internet and software, creating a map while sitting at home is not really a difficult thing to do. But that map, made in the comfort of our homes, will not be of a lot of use. The main purpose of a map is to give something a visual depiction. And when organizations like OPP have a more practical purpose to mapmaking, blood, sweat and tears have to be shed. A map represents the culture and the people living in the area being documented. With the field experience I gained with OPP and through this course so far, I know that engagement with the community living in the area is crucial to create any kind of map or visual representation of the area. One instance of this are the maps our class made while and after working with OPP. The map of the four streets tells us where the water and sewerage lines in that area come and go from. Our maps are very different from the ones a map showing transport routes will be. Google will not be able to tell you the details of an area, only the people can. The essence of a map is its purpose. World maps are there to show us the locations of countries and major cities. City maps for tourists exist to help tourists find their way through that particular city. Similarly, the maps OPP creates exist for various reasons: regularizing undocumented areas, installing water and sewerage lines, documenting katchi abadis and goths among others. In the mess of a world we live in today, the skill of cartography is essential in order to make sense of the chaos around us. A map helps us orient ourselves in the world. It gives us direction. When you enter a new building, you first look for a map or some kind of guidance (as was the case with me when entering Habib University for the first time). Our place in this world is defined by maps that are all around us. By learning cartography, I will be adding a crucial skill to anything I do in the future. 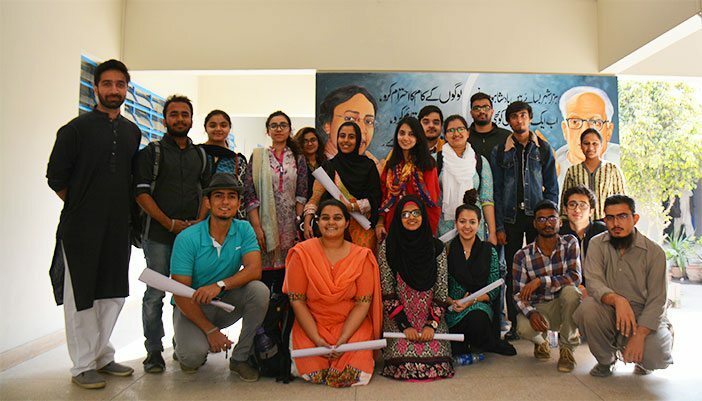 This blog was written by Zahra Sohail Mukhi, Sophomore at HU’s School of Arts, Humanities & Social Sciences, majoring in Communication & Design, Class of 2019. Photos by HU Sophomores Abiha Batool (C&D) and Iqran Rasheed (C&D).